Of all the major military operations conducted by the Allies during the Second World War, none was more formidable than the planned invasion of the home islands of Japan. 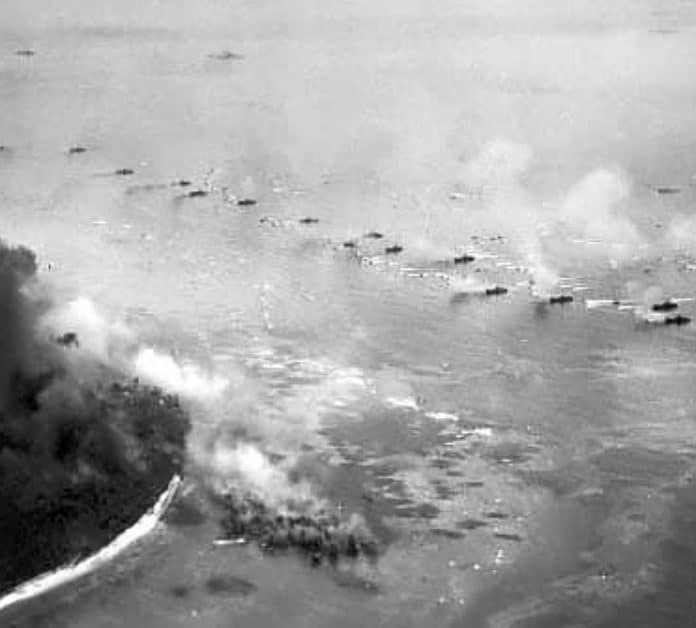 The fanatical resistance displayed by the Japanese troops on Saipan, Peleliu, the Philippines, and Okinawa, as well as other operations, was believed to be nothing compared to what the invading troops could expect in Japan, with the military supported by a rabidly anti-American citizenry. Estimates of casualties among planners varied widely, dependent upon whether the estimator was pro-invasion or instead supported the idea of blockade and bombardment to bring Japan to capitulate. MacArthur supported invasion and submitted casualty estimates which were almost absurdly low, ignoring naval casualties altogether, despite the ravages of the kamikazes. In a private letter to General Curtis LeMay, General Lauris Norstad estimated up to “half a million” dead among the invading forces. All planners worked on assumptions which underestimated the number of Japanese defenders by more than two-thirds. While it was true that the remnants of the Japanese fleet were incapable of movement due to damage and lack of fuel, it was equally true that the crews were available to join the defense forces, and that they did. Here are twenty elements of the planned invasion of Japan, thankfully canceled after the atomic bomb and the Soviet invasion of Manchuria brought the Japanese to surrender. The invasion of Japan was envisioned by the planners as a multi-phase operation, with a landing on the southern Japanese island of Kyushu, using Okinawa for staging support and a haven for damaged ships. After the southern third of Kyushu was secured, it was to be used for air bases to support the invasion of Honshu, across the Kanto Plain, to capture Tokyo, or rather what was left of Tokyo following the fire bombings in the summer of 1945. The strike on Kyushu was designated Operation Olympic, that on Honshu was designated Operation Coronet. The plan was defined as much by the geography and topography of the Japanese islands as by military considerations. Because of the geographic considerations, and with nearly four years of experience resisting American sea-borne invasions, the plan was obvious to Japanese defense planners as well. The bulk of the defenders available in Japan were established on Kyushu, with Japanese planners believing a successful resistance there and the number of casualties inflicted on the invaders would allow the Japanese to negotiate a peace with their war-weary enemy. What the Japanese did not know was when the Americans were coming. Resistance was still heavy in the Philippines when the date of the invasion was tentatively set for November, 1945 for Olympic, with Coronet set for the following spring.